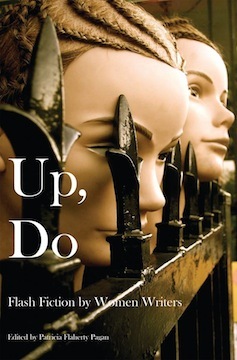 Two of my flash fiction stories are included in the anthology Up, Do: Flash Fiction by Women Writers, published by Spider Road Press. This collection is available on Amazon or directly from the publisher, Spider Road Press. 5% of the proceeds from all Spider Road Press titles are donated to charities which address the issues of sexual assault, supporting American veterans, empowering youth and fighting hunger at home and abroad.